The Grenada Co-Operative Bank Ltd. was pleased to announce that, along with its benefactors, they have reached a monetary fund of over $155,000 towards the Carlton House project. The purpose of the Carlton House facility is to provide an environment which allows for all of the processes substance misusers must confront and overcome, in wishing to reach a healthier place, both physically and mentally in their lives. The final goal for the benefactors is $500,000, to be utilised in the purchase of necessary items for the home. Benefactors present at the launch meeting expressed their full support of the bank’s initiative and hailed it as a matter of corporate responsibility and an action which must be taken for Grenada’s sake. They joined with the bank in looking forward to welcoming more companies to their numbers. Current benefactors are; Jonas Browne & Hubbard, Flow Grenada, Antillean Life Insurance, Guardian General Insurance (OECS) Ltd. All were hearty in their welcome of new 2019 sponsor, Coyaba Beach Resort. 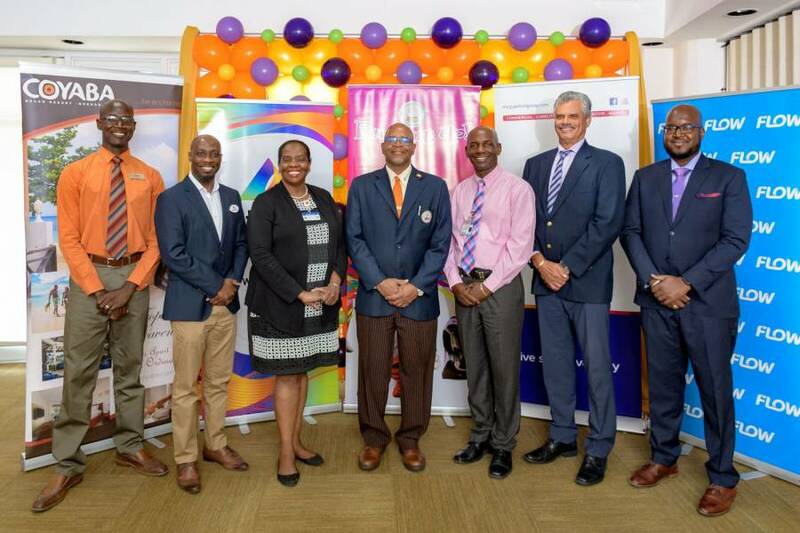 Ronald Hughes, Managing Director of Guardian General Insurance (OECS) Ltd., who have been benefactors from the outset of the project, was also very happy to advise the bank that his Company has pledged to increase their annual donation from $10,000 to $15,000 for 2020. Ronald Hughes, Managing Director of Guardian General Insurance (OECS) Ltd., presenting cheque to Richard Duncan, Managing Director of Grenada Co-operative Bank Ltd.
As the bank’s popular health walk, Pump It Up, continues to increase its number of participants, an opportunity is provided for walkers to contribute to the Carlton House fund, and the bank was pleased to share that these contributions amounted to $22,000 raised by the record 5,430 walkers in 2018. 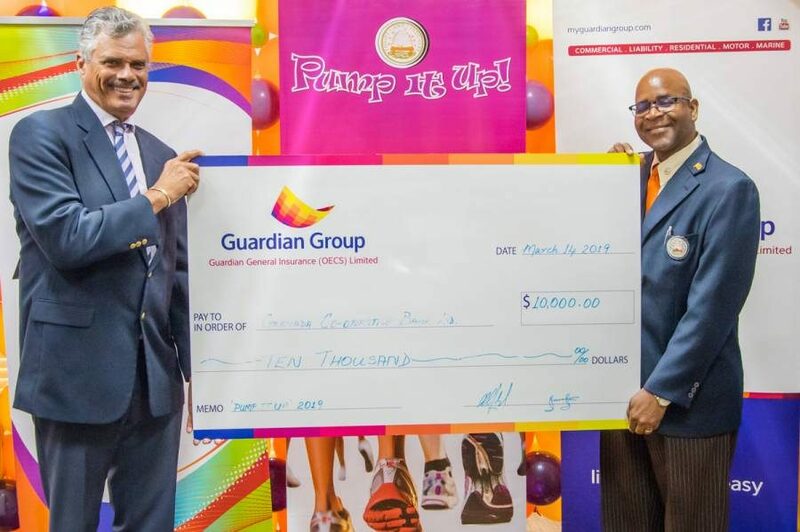 Also of note is that funds can be contributed to the Carlton House project by members of the public at any branch Grenada Co-operative Bank Ltd.
Co–op Bank ‘Pump It Up’ health walk is scheduled to take place in Carriacou on Sunday, 7 April and in Grenada on Sunday, 28 April.